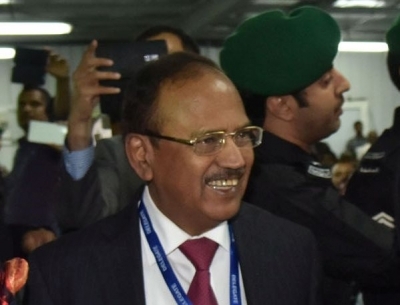 Beijing, July 27 (IANS) India’s National Security Adviser Ajit Doval is in Beijing to attend a BRICS security summit amid rising bilateral tensions with China over a protracted border stand-off. 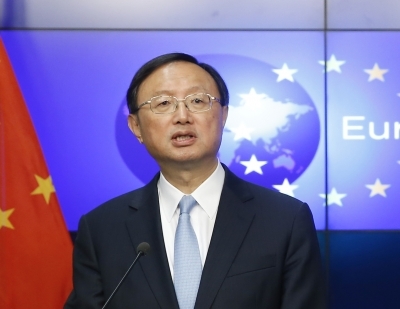 Officials were tight-lipped about Doval’s expected meeting with China’s top diplomat Yang Jiechi on the sidelines of the two-day summit which begins on Thursday. “No idea,” an Indian diplomat responded when contacted on the phone. If the two officials meet, the stand-off between their armies in Doklam in the Sikkim sector is certain to be discussed. Doval, who reached Beijing on Wednesday, will call on Chinese President Xi Jinping along with the NSAs of the five-member bloc that also comprises – Brazil, Russia and South Africa. The meet, where the five-nation bloc traditionally discusses counterterrorism and security issues, assumes significance in the view of the festering border row between India and China. Earlier this week, an editorial in the a Global Times said India should not pin hopes on Doval’s visit to resolve the border stand-off. China has told India repeatedly to withdraw troops from Doklam, which it calls as its own. New Delhi has said that troops from both sides should withdraw for a dialogue as Doklam belongs to its ally Bhutan. In June, the Indian Army stopped road construction by Chinese troops in the area, leading to the stand-off that is now in its second month. Doklam, at the tri-junction of China, India, and Bhutan, holds strategic importance for all three. Bhutan, a Himalayan nation that has no diplomatic ties with China, has also protested against the road construction by Chinese troops.